Doctors give no documented reason for prescribing opioids in 29 percent of cases, according to a study published this week in Annals of Internal Medicine. The study analyzed opioid prescriptions written during 809 million outpatients visits over 10 years. Two-thirds of the prescriptions were intended to treat non-cancer pain, and 5 percent were written for cancer-related pain. The rest were written without a record of pain symptoms or a pain-related condition, CNN reports. 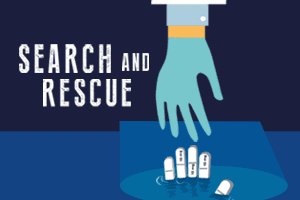 Search and Rescue is a prescriber education campaign providing healthcare professionals with the tools and resources they need to help patients with prescription drug misuse, abuse, and addiction.